The Historically Black Colleges and Universities Undergraduate Program (HBCU-UP) has identified research in broadening participation in STEM as one of its priorities and is committed to funding innovative models and research to enhance the understanding of the barriers that hinder and factors that improve and increase our ability to broaden participation in STEM. 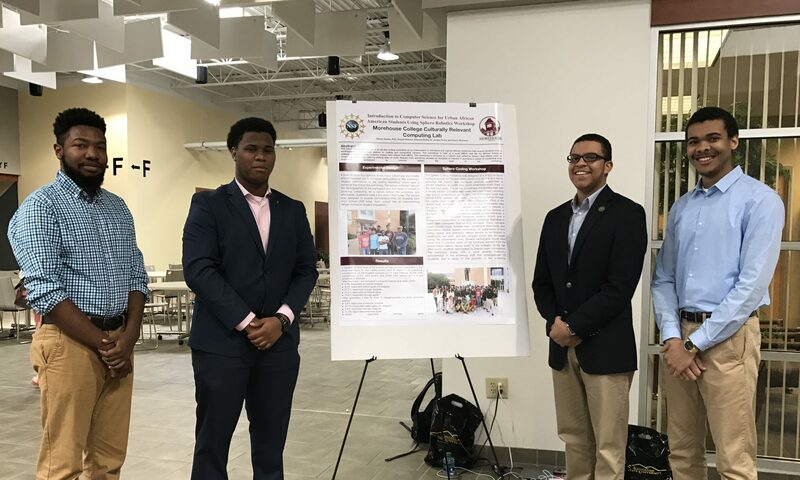 The project at Morehouse College has been designed to initiate the implementation of essential research that will set the foundation for the development of the theoretical model for resilient science identity formation. The project in collaboration with Virginia State University and several other other HBCU institutions is designed to strengthen education research capacity by implementing a comprehensive faculty development program. Research activities that will contribute to an increased knowledge base on science identity formation and other psychosocial constructs that promote the creation of a resilient identity and ultimately success and retention in STEM. Education activities that contribute to learning about the experiences and accomplishments of STEM education at HBCUs. Knowledge translation activities that will facilitate the development of an intellectual infrastructure to ensure mutually beneficial communication and collaboration between individuals to propagate ideas and discover new research opportunities in the science of broadening participation. Outreach activities to all stakeholders and the broader academic community to engage in project activities and to inform the higher education community. The project will impact the research training and education of thousands of students, hundreds of faculty, and the academic community at large about the science of broadening participation in general and identity formation specifically.